Georgia May Jagger birthday, the face of Angel. Read Judith Brockless' article 'Entertaining Angels' about a tea party with Jagger and Angel perfumer Olivier Cresp. teardrop, hope the cold virus is starting to relinquish it's grip. 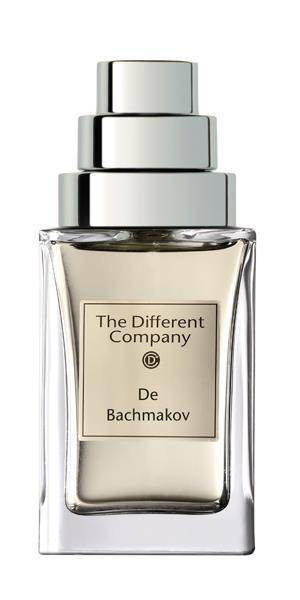 The Different Company - De Bachmakov. Happy Birthday to all those of you with birthdays, today. Hope you are feeling a tad better, Teardrop. 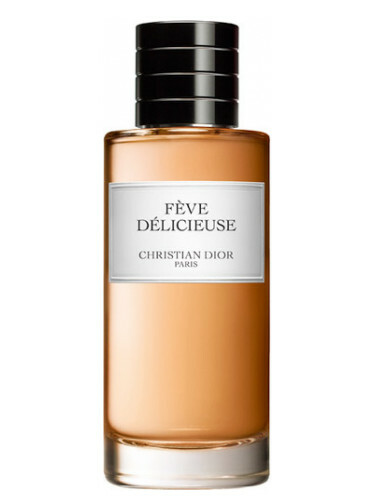 A woman without perfume is like a flower without a scent. 4160 Tuesdays An Excess Of Carelessness. Diapers and politicians should be changed often, and for the same reason.. HAPPY BIRTHDAY to Larimar, Kalli, and VintagePoison!!! Happy birthday to Larimar, Kalli, and Vintage Poison! Teardrop I hope you are feeling better today. 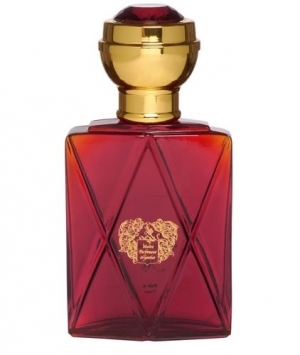 SOTD: Etro Etra. Wish you all a great day. Have I told you about the scent of jasmine? Have I spoken about the smell of the sea? The earth is scented. And I perfume myself to enhance what I am. That's why I can not wear a perfume that bothers me. Perfuming is an instinctive wisdom. And like all art, it requires some knowledge of yourself..."
,,,,,,,,, Happy Birthday, Larimar, Kalli & Vintage Poison! Original Missoni EDP. Very much like finding a Terry's Chocolate Orange left over from Christmas. Which is appropriate, as I'd forgotten I owned this. I had also forgotten that Turin gave it five stars in The Guide, and spent a whole page discussing the technical marvels of its construction, without ever once mentioning how it smells. Well, it smells like chocolate and oranges. PS: I love how chatty the Basenotes Robot has become, giving us these little snippets of perfume news and commemoration. Vintage Dior Homme for a Saturday of errands. Have a great weekend everyone! Let me assure you that the rumors about my birthday today is all fake news... oops, couldn’t resist. It is my basenotes birthday today and I very much appreciate your kind wishes just in the same way. Group hug and bear hug Mike-style ! Ce soir to make up for the occasion it will be old Tabac Blond extrait from the old tassle etc. presentation... a ceremony itself. I too love your pics and background stories, Quarry! Continued feel good vibes going to teardrop! Zealot Crusader is holding Pasha in high esteem... it was my first ‚serious‘ perfume as a teenager and I went to 3 or 4 bottles. Happy Birthday Larimar, kalli & VintagePoison! Cook.bot, yes, the robot is finally coming out of his/her shell! Thanks again for all the get well wishes, you lovely people. Jon, l love those blinking cats! l'm still feeling decidedly ropey today, & haven't even thought about a SOTD yet. Perhaps later, when l've decided whether to take a bath or a nap. Maybe both. Trialing FM Vetiver Extraordinaire again. It's on the verge of being very pleasing, but just not quite fully. Delighted to be unveiling another new purchase for the evening. Went on a fragrant foray this morning to get acquainted with Maison Margiela and one stood head and shoulders above the rest. 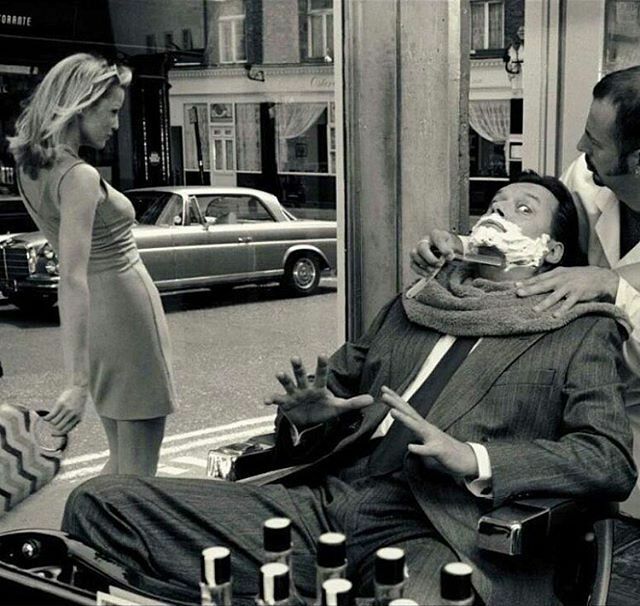 SotE - At The Barber's. Jon, I have similar feels about Jazz Club, but I go back and forth between "ick" and "wow!" I just tried Harlem Nights by Chris Collins a few days ago and I like it a lot--it has a similar feel to Jazz Club but is a bit more polished. Happy Birthday to the celebrants! Today I'm in Les Fleurs du Déchet/I Am Trash by Eldo. Not as overripe or fermented as I had thought it might be. thekelleybelle, what tattoo are you getting? 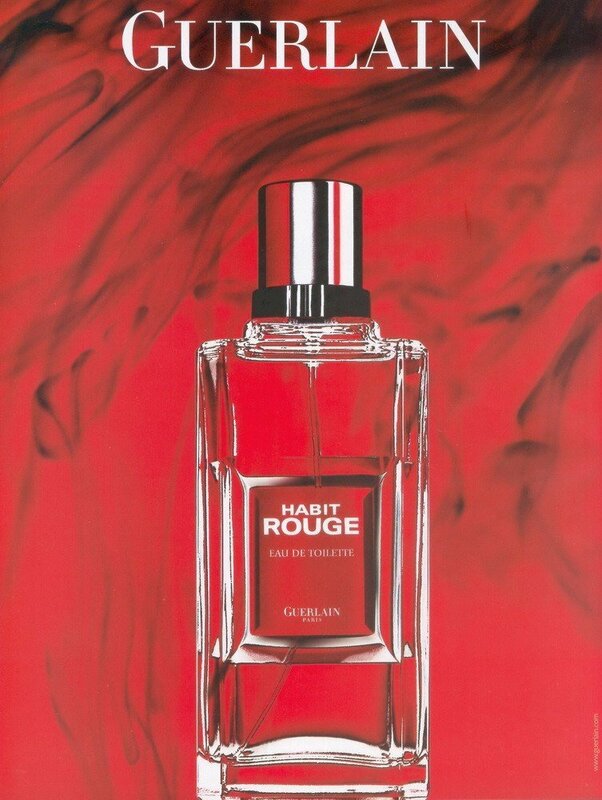 After taking a nap, l'm wearing one spray of Chergui, for those soothing notes of dry hay & cherry cough syrup. Couldn't decide what to wear, so ended up finishing my sample of La Pausa EdT. 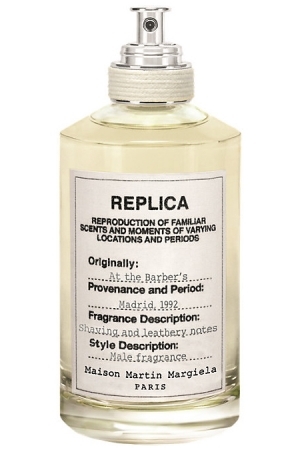 Only the top notes of one Maison Margiela have enchanted me thus far: Across Sands. The dates smell so real, and the vibe's very much like Hermes Ambre Narguile. But later on it just hits a wall of blah. I read a review today wherein the smeller said MM frags are like a teenage boy who peaks prematurely, and that fits Across Sands. However, I like those first few minutes enough to wish for a decant to apply at bedtime to enjoy that sweet treat. Thekelleybelle, I like Jazz Club too. It’s my favorite of the line. Teardrop, I love your description of Chergui. It’s fallen out of my favor during the past year but now you’ve given me a hankering to revisit it. I’ll pull out Back to Black while I’m at it. 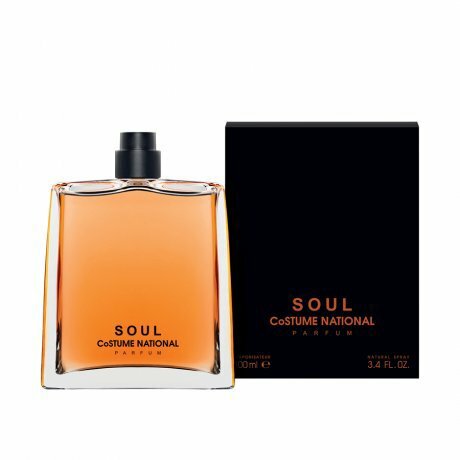 I need some good rainy day fragrances this week. I’m wearing Patch Flash today. I love to wear patchouli on Saturdays, especially. It gets me in relaxation mode for the weekend. Happy birthday Larimar, Kalli, and Vintage Poison!